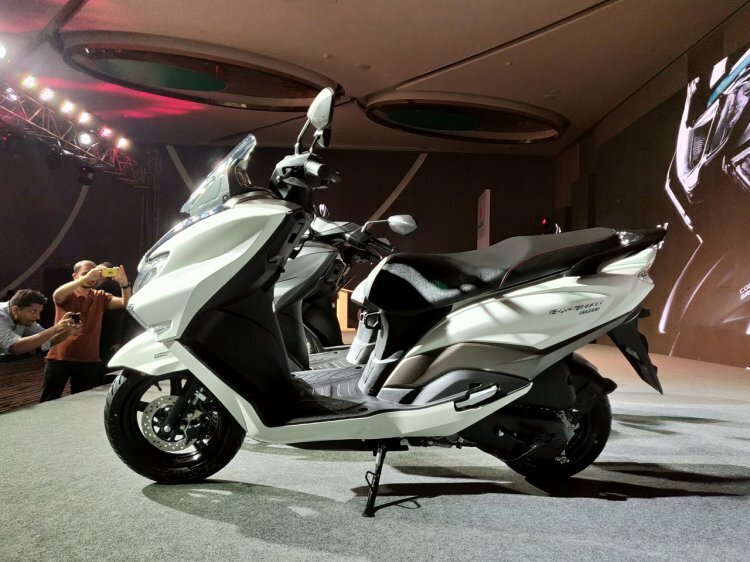 Suzuki Motorcycle India has launched the Suzuki Burgman Street scooter in India, priced at INR 68,000 (ex-showroom Delhi). 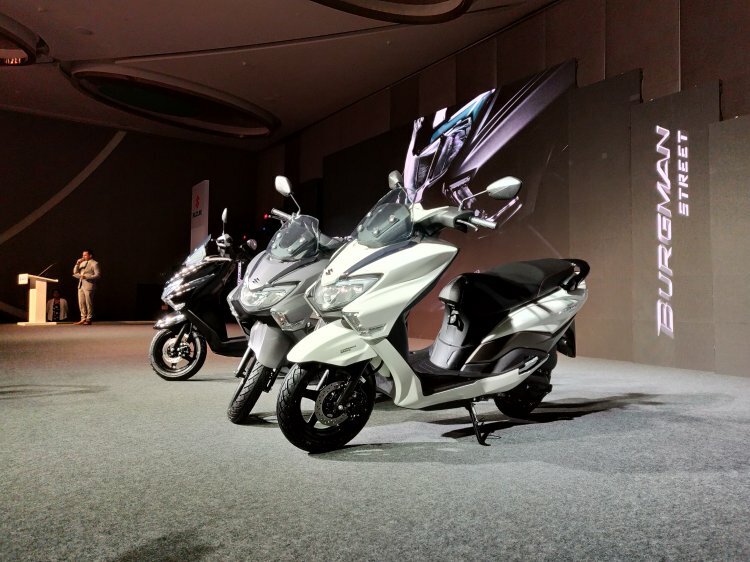 The Suzuki Burgman Street is available in three paint schemes - Metallic Matte Gray, Glass Sparkle Black and Pearl Mirage White. The Suzuki Burgman Street is a maxi-scooter that is available in three colour options, which are metallic Matte Fibroin Gray, Pearl Mirage White, and Glass Sparkle Black. The maxi-scooter is available for bookings at an amount of INR 5,000, while deliveries will start today. Suzuki has positioned the Burgman Street above the Suzuki Access 125 in the domestic market. Based on the Suzuki Burgman 650, the Burgman Street debuted in India at the 2018 Auto Expo held in February. A bulbous fairing and the larger dimensions accentuate the maxi-scooter design on the Suzuki Burgman Street. Suzuki has equipped the Burgman Street with a broad seat, wide handlebars and a tall windshield. The front apron houses the LED headlights, while the scooter also features LED taillamps. Key features include a 12V Smartphone charging socket, an all-digital instrument cluster, a multi-function key slot, and 21.5 litres under-seat storage capacity. The Suzuki Burgman Street sources power from a 124.3 cc, single-cylinder engine that is capable of generating 8.4 bhp of maximum power at 6,500 rpm along with a peak torque of 10.2 Nm at 5,000 rpm, while the engine pairs to a CVT gearbox. The Burgman Street competes with the TVS Ntorq 125, Vespa SXL/VXL 125, Honda Grazia, and Aprilia SR 125. The Burgman gets a fuel tank capacity of 5.6 litres, while maxi-scooter has a kerb weight of 110 kg. The Suzuki Burgman Street features a step-through design, which allows the riders to place their legs higher up. Suspension components on the maxi-scooter include telescopic forks at the front along with an adjustable rear mono-shock. Stopping power comes from a standard front disc and a rear drum brake with standard CBS (combined braking system). The Burgman Street features 90-section tubeless tires at both the ends with 12-inch front and 10-inch rear alloy wheels.